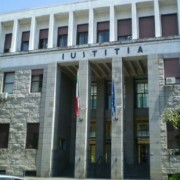 JUSTranslations provides sworn translations through the Court of Pisa (Italy). We mainly deal with English and Italian documents, but working in association with professional translators, we guarantee an accurate service in other language pairs as well. A sworn translation (asseveration) is required by organizations or institutions for documents such as certificates, diplomas, wills contracts, etc. In this way, the translated document maintains the same legal validity as the original. When the translation is completed, the translator must take it along with the original documents and proof of ID to a court, justice of peace or notary. There he/she will file a statement and recite these words: “I do swear I have well and faithfully executed my duty and that my only purpose is to serve the truth”. The statement is then signed by the translator and the officer and all the documents (including the original, the translation and the statement) are stamped on every page. In this manner the translator declares that what is written corresponds precisely to the original text, and accepts civil and criminal responsibility for it. The translated document now has the same legal value as the original. In Pisa every Monday (Court of Pisa) from 9 am to 12 am. If the translation needs to be sent abroad, legalization may be required. Please note that all the above is subject to change according to any new Italian law, but JUSTranslations makes it a priority to keeping up-to-date with the correct procedure.